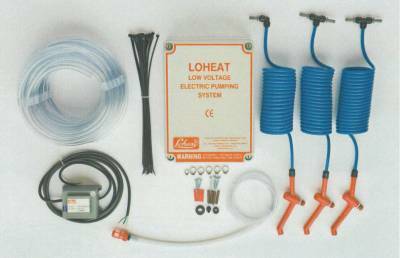 Click here to be taken to our secure site to purchase your Loheat Teat Spray System online. You can also phone, fax or skype your order through to us. We can usually supply within seven working days from receipt of order. milkingmachines.co.uk © Copyright 1999 - 2017. Web design and SEO by Shaun Wheeler. This site was last updated 02/03/2017, and features in isleofwightweather.co.uk. Part of the dc engineering [specialist dairy engineers and milking machine installers] series of milking machine websites. milkingmachines.co.uk sell milking machine spares and spare parts for milking machines. Calf feeders and animal husbandry equipment also available at calf-feeding.co.uk. Providing worthwhile milking.solutions.